Katherine Peterson’s novel Jacob Have I Loved was a Newberry Medal winner in 1981. Although this book has been on my radar for many years, I was perhaps just a teensy bit too old for it when it was published in 1980, so I didn’t read it then. It is a pretty famous book though, and I figured I should read it. So I did. The title of the book comes from the bible, Romans 9:13: “As it is written, Jacob have I loved, but Esau have I hated.” The quote refers to the story of siblings Jacob and Esau and the novel tells the story of siblings Sara Louise and her twin sister, Caroline. The girls live on Rass Island, off the coast of Maryland. Their father is a fisherman; their mother a former school teacher. Their crotchety paternal grandmother also lives with them. The bulk of the story takes place in 1941 and the years that follow. Wheeze, 13, and her best friend, Call, 14, spend their days hunting for crabs. Their little island is isolated and days there are marked by routine – fisherman out on the water early and home late, school and church, the occasional ferry trip to the mainland. Paterson deftly creates a world that will be – for most of its young readers – a place long ago and far away. Wheeze is resentful and jealous, even though Caroline never really seems to give her any reason to be. It’s one of the lovely things about this book, which is remarkable in its stillness. Wheeze isn’t particularly likable, but you grow to love her just the same. 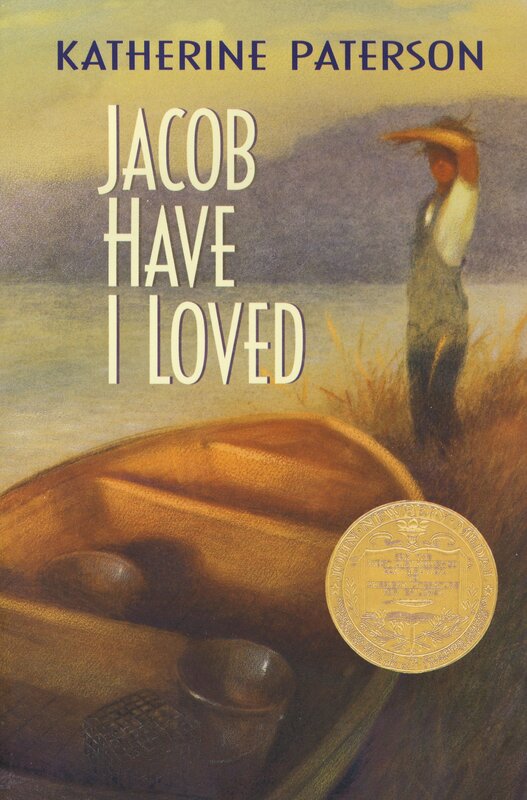 Jacob Have I Loved is without the bells and whistles that marks much of the YA fiction out there today. I would suggest that this is a book better suited to middle school readers, but I think anyone who has ever shared close quarters with a sibling would enjoy this story. This entry was posted in Uncategorized and tagged 2015, award winner, Book Review, teen by Christie. Bookmark the permalink.